Home > News > Gmat > MBA Admissions: What Is Africa’s Problem With The GMAT? There is broad demand for African MBA candidates at business schools around the world. And, with economic growth, the need for graduate business education in Africa is on the rise. Yet the African MBA applicant pool remains small. Why? The socio-economic reasons are vast. Many African countries are crippled by corruption, poverty and internal conflict. But another, MBA-specific reason is key: the GMAT. In 2015, only 1.3% of GMAT test takers worldwide were based in Africa. 3,201 Africa-based applicants took the GMAT, compared to over 6,000 in Latin America, 20,000 in Europe and almost 110,000 in the US. “We see that African candidates often avoid the test out of fear they cannot perform well,” says Ron Sibert, director of business development in Africa for the Graduate Management Admission Council (GMAC) – owner of the GMAT exam. 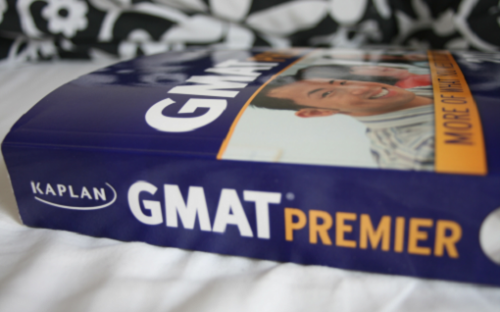 The global average GMAT score in 2015 was 554 (out of a possible 800). In Africa, it’s 450. In Nigeria, 415. Ron puts much of this down to African students’ educational history. Of course, there are various high-achieving African MBA applicants, students and grads. But institutionalized rote learning means many struggle with the GMAT and look for alternative tests. A poor GMAT score can be a barrier between them and the world’s top schools. Some business schools are making concessions when it comes to the GMAT. IE accepts both the GMAT and the GRE. It even offers its own test – the IEGAT – which requires no prior preparation and tests decision making, analytical skills and comprehension. London Business School (LBS) is flexible on its entry requirements when it comes to African applicants. Developed in 2012, growing the African MBA applicant pool is the key objective for GMAC’s Africa Pipeline Development Initiative. It’s aiming to boost performance on the GMAT and increase awareness about how to prepare for the exam. “We’re going out and we’re talking to prospective students,” says Ron. “In Nigeria, we’re talking to national youth service corps participants. We’ve done direct outreach to small forums of students in Kenya. There are only around 20 official GMAT test centers across the whole of Africa. And despite GMAC’s efforts, lack of access to secure and reliable test centers remains a problem. Ivy Musora, a Zimbabwean MBA student at Maastricht School of Management in the Netherlands, was forced to take the school’s own online pre-admission assessment test, as a more accessible alternative.